The 2017 Women’s March was a worldwide protest held on January 21, 2017, to advocate legislation and policies related to human rights, women’s rights, immigration and healthcare reform, racial equality, religious freedom, and LGBTQ rights. 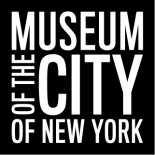 The Museum felt that this was an important event in New York City history that should be represented within the collections. This entry was posted on January 22, 2018 by Christina Watson in Exhibitions, Manuscripts and Ephemera.